A friend of mine recently asked me to write about a dilemma they are experiencing, how to balance multiple demanding roles in their life. In this person’s case the load of was quite extreme - school, a full-time job, and a startup project. However, it’s not uncommon for people working full-time to have another interest - a side hustle. Take me for example, I work full-time at a venture-backed startup and run my coaching practice. My full-time role is very demanding and additionally, a big factor in the success of my coaching practice is going to be the effort I can commit to it. Looking back over the last year I very happy with the how I’ve been able to do both. Mostly, I’m extremely happy that I’ve been able to use the two roles as force multipliers with each other, and believe that I’m delivering on both. 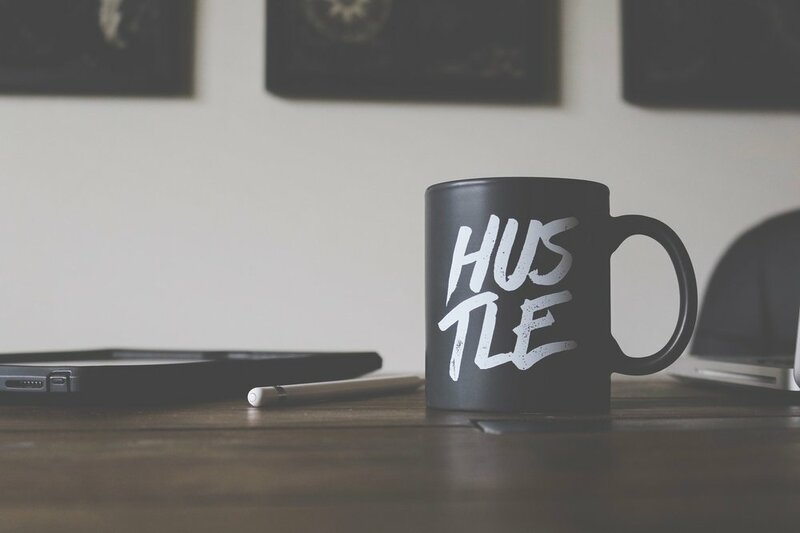 Why have a side hustle? For some it’s necessary to make ends meet, for others it provides an outlet for different energies. In many cases, people are trying to use this extra activity to launch a new career or business. You might also be trying to undertake an additional project within your current company. Whatever the circumstance, when you find yourself in a situation where you have multiple, and potentially competing, interests you need to give some serious thought to how you will balance and organize your efforts. Here are my five rules for navigating and succeeding with a side hustle. Before you begin to work out how to share your time effectively between two (or more) projects you need to have some sense of how much time they require and what obligations you have. Obligations could be contractual, social or even based on ‘accepted practices’. Write an audit of each project, what is required and how much time each commitment take along with how often they occur. Armed with this information, you’ll be in a place where you can look at your potential commitments and see if taking on the new project is possible. You will also be able to understand the impact on any existing obligations, and where they may require re-negotiation. Whenever possible I favor full transparency. In my case, when I started Richard Murby Performance Coaching I sat down for a brief conversation with my CEO. I let him know exactly what I was doing, and how much I expected it to impact my work with him. During the conversation, I was specific and clear - relying on the data the above exercise that created. I set forth my intentions and invited feedback both there and then, and at any point in the future. My CEO was extremely supportive, as I excepted, and I left the conversation feeling that I was prepared to honor both my obligations and my desire for transparency. You might not be in a situation as fortunate as mine. So what do you do? The answer is, negotiate with yourself. Apply is sometimes called the Sunlight Test or the WSJ test. It invites you to think; if everything you did was completely public, would you stand by it? Would you be proud of your actions, decisions, and reasons? Beyond, what you can do. What should you do? If following that test you believe you can fulfill your obligations. Have a system, here is mine, that allows you to divide up large chunks of time into your different projects. Within this system just assign the focus areas. For example - Monday 10am - 6pm = Day Job, Sunday 11am - 5pm = Side hustle. Personally, I’m most effective for keeping my tasks organized in different areas, but my organizational system let’s see where my attention should be. Always remember that cost of context switching. Try and much as possible to avoid bouncing between tasks on different projects. You will be most efficient completing one major set of work, shutting down on that project and then switching context. When designing your tasks to be completed with a block of time, do your best to ensure that wherever possible you’ll wrap up some big segment of work (this blog post for example) at the end of a block. If the tasks you need to complete at a certain time are smaller then just adjust the block size down. Once you have aligned your tasks correctly you’ll be able to switch focus without thinking about a task half completed. 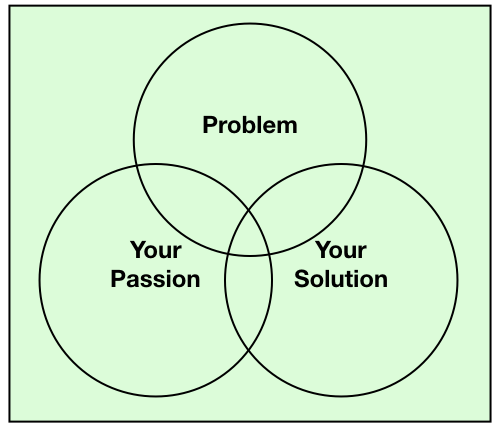 When you are working on multiple different projects, it is natural that you might find overlap. Maybe a client from one business would be the perfect prospect for the other? Maybe there are resources from one projects which are desperately needed on the other. Some sharing across your projects in natural, and maybe even desirable. In my case, my role at Devpost gives me a high degree of credibility when I’m coaching leaders in other technology companies. Additionally, my work as a performance coach increases the effectiveness of myself and my team. That’s all positive if you use skills from one area of your life in another everyone will thank you. Some sharing needs to be managed more carefully. Let’s say you are traveling for your day job and have an opportunity to meet up with a client from your side hustle. No reasonable person at your day job is going to consider this un-ethical (maybe don’t expense the dinner!). However, using sales contacts from one business in another would be a clear violation of trust - and potentially create legal problems for you. As with your obligations the WSJ test can be your friend. Always assume your actions will become public knowledge. If you are comfortable with them in this light you are likely on the right path. Discussing these issues with your teams is also a good way to the build trust. A golden rule to follow is that you (and anyone you are dealing with) needs to know the capacity they are interfacing with you in, i.e. which ‘hat' you are wearing. If you are going to balance yourself between multiple objectives then you are going to have to accept that certain objectives for projects might take longer to be reached than if you focused solely on them. This isn’t a failure or a shortcoming, it’s physics. Grow up and find smarter ways to reach those objectives. Creativity loves constraints, and time is one of yours. We all get wrapped up in our work from time to time - especially if we are fortunate enough to work on things we are passionate about. The negative of this is that it’s easy to lose perspective and context when all you do is work. Remember Rule 4? If you are going to play the long game you are going to been to make sure that your conduct is sustainable. Make sure your schedule includes time to decompress. Your physical, spiritual and emotional health is the strength on which your ability to create value in the universe is based on. Sometimes we need to take a ‘loan’ from this to break through a barrier - but if you don’t repay that quickly everything you do will suffer.